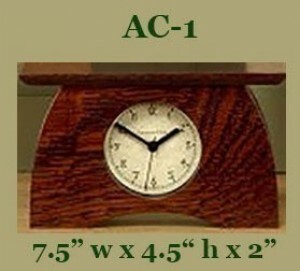 Schlabaugh is a family owned business located in Iowa, which makes these heirloom quality clocks with attention to every detail. Crafted from quarter sawn white oak and finished in a rich, deep stain that matches our own Signature Finish. Available in three sizes: Please see images for individual dimensions, and select corresponding item on drop-down listing below.